I don’t know about where anyone else lives, but here in Alaska it feels like fall. The leaves are already changing to gorgeous colors and the weather has cooled off. The weather makes me crave all of the delicious foods that go along with fall. One of which is apple cobbler! I love cobbler but it can tend to have a lot of carbs and sugar depending on how it is prepared. So I set out to make a healthier and SUPER quick version. 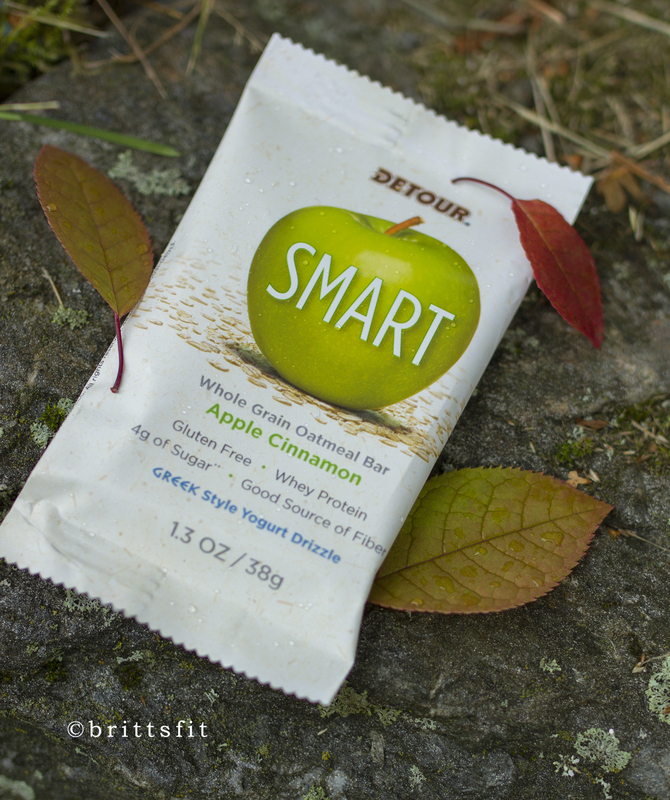 For the topping I would normally think to use oatmeal, but since I have been loving these Smart Bars and they are made of oatmeal anyway, they were the logical solution! Cut up apple into small cubes. Add to small ramekin and top with cinnamon and stevia. Crumble Smart Bar on top of apple mixture. Bake for 20 minutes at 350. Or microwave for 1-2 minutes. 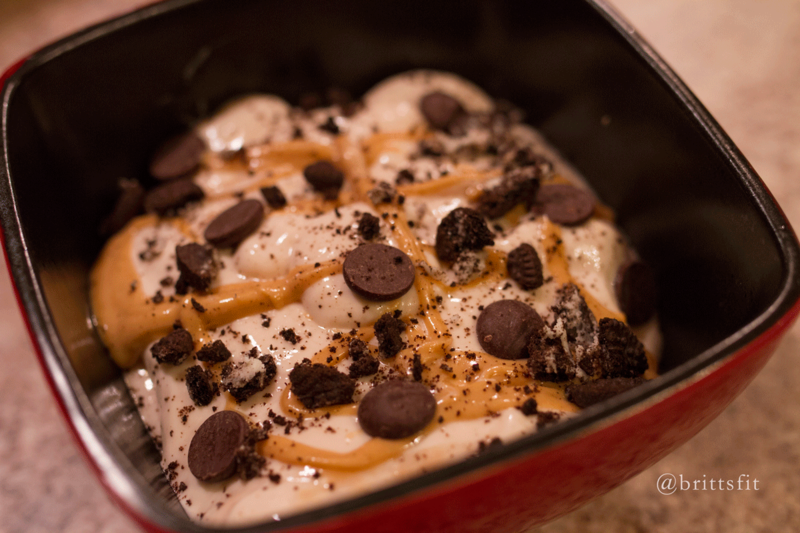 Top with whipped cream or frozen yogurt. 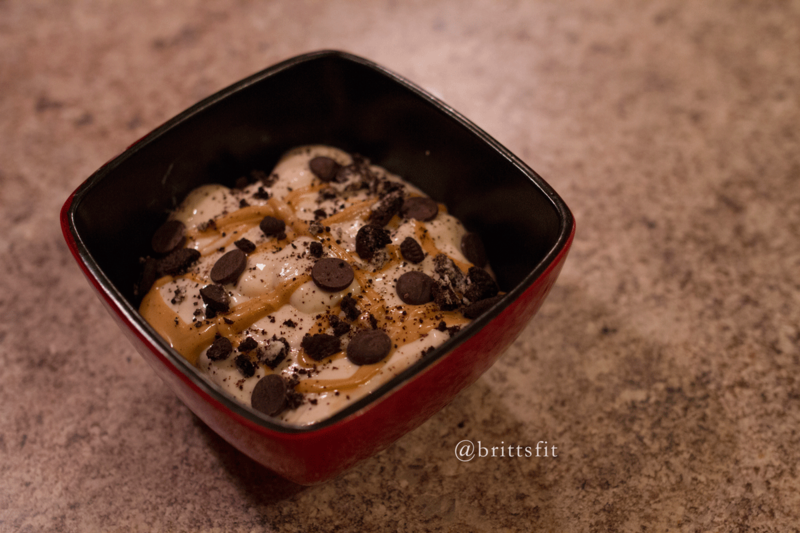 Enjoy your healthy and guilt free dessert! Apple city up in here. 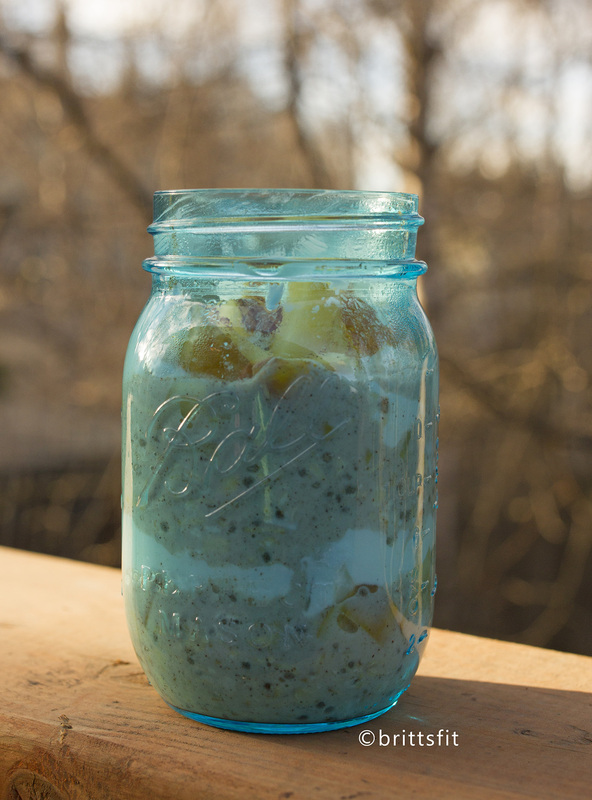 Overnight Oats are one of my favorite things to make. They are SO easy to prepare and take on the go. I like to put them in cute jars to add to the appeal. 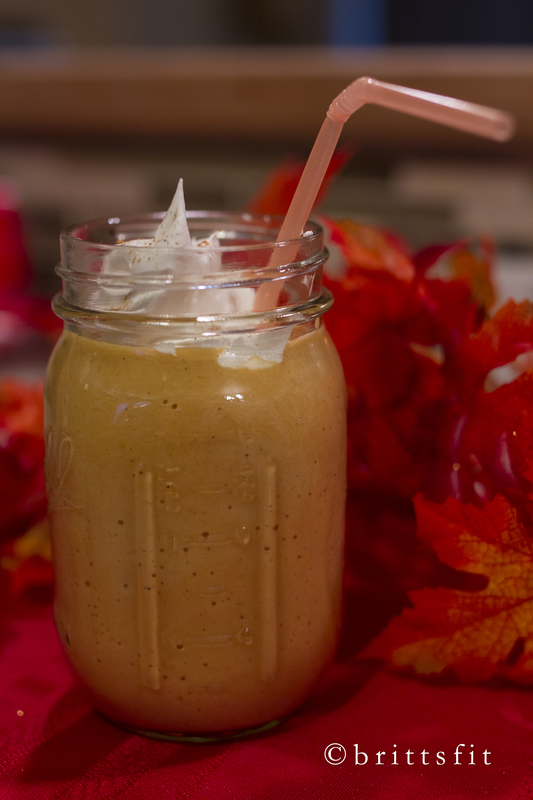 I know I have made a few recipes for them in the past but now that fall is here I will be sharing some recipes that are perfect for the autumn season! Apples and apple pie instantly remind me of fall. They are fresh, juicy and in season. 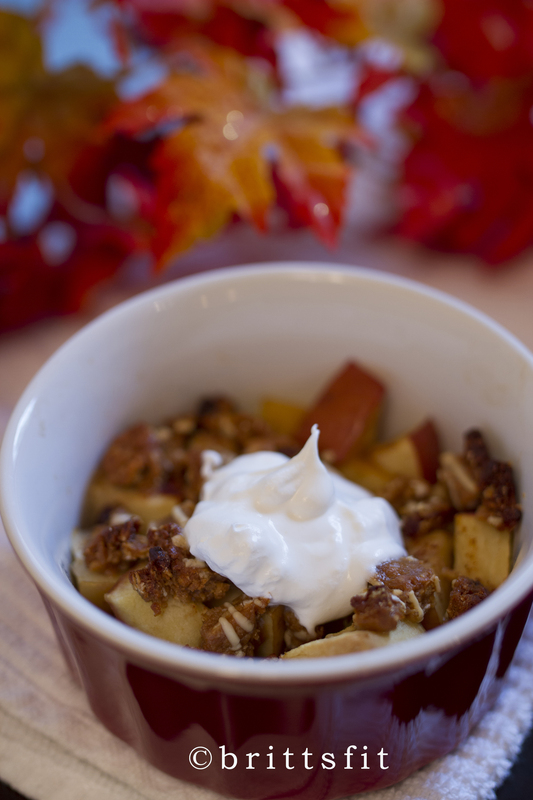 So what better way to start your day than with some HEALTHY apple pie? 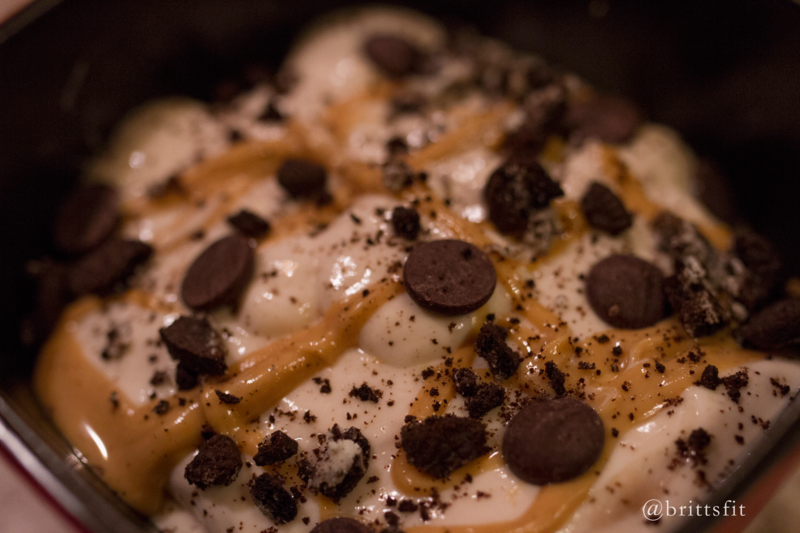 In a bowl, mix oats, milk and chia seeds, cinnamon, and vanilla (you can add stevia if desired). 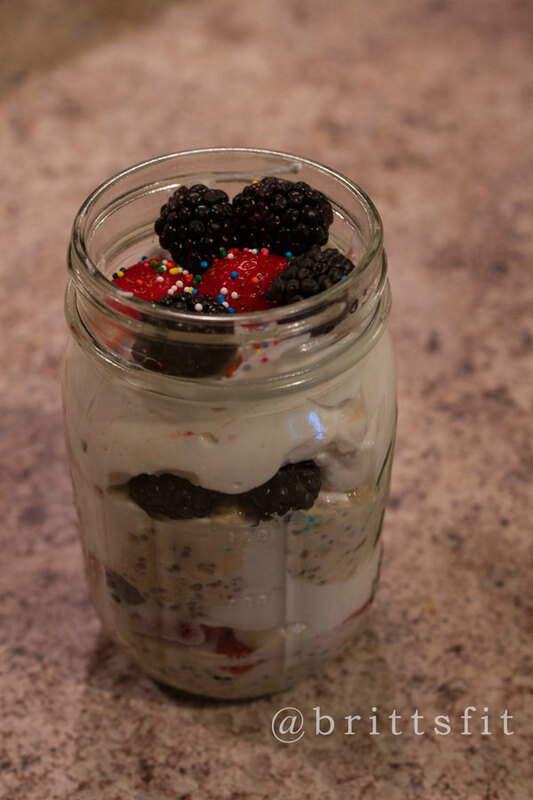 In the morning, layer the oats with your yogurt. 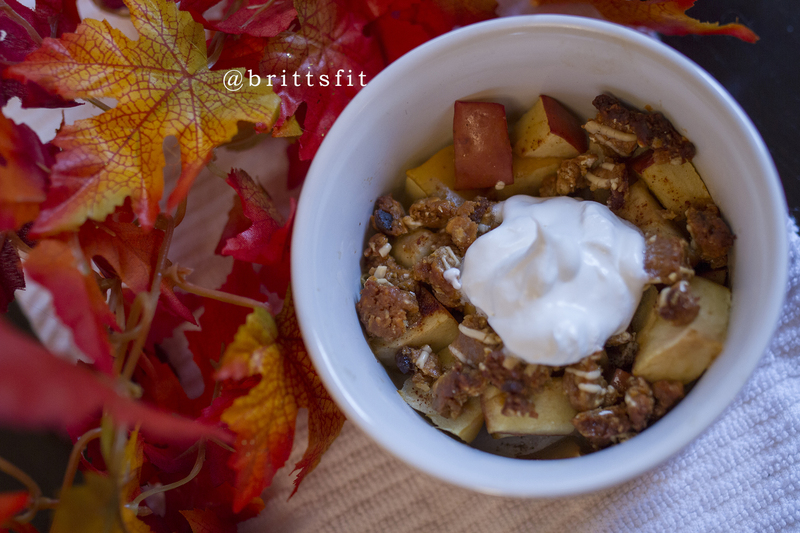 If you do plain yogurt you can add additional stevia to sweeten if desired. Cut up your apple half into cubes. Microwave in a mug for about 30 seconds. Or you can just leave the pieces raw if you like them crunchy rather than soft. 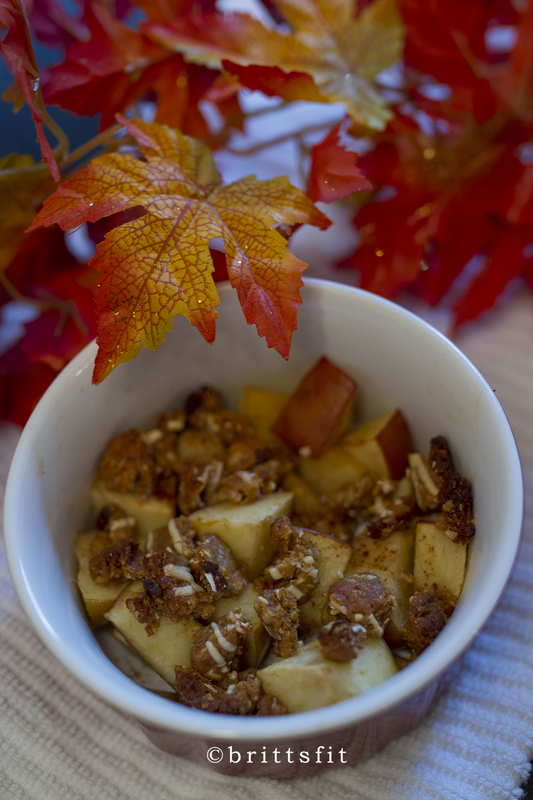 Add apples to oat mixture. 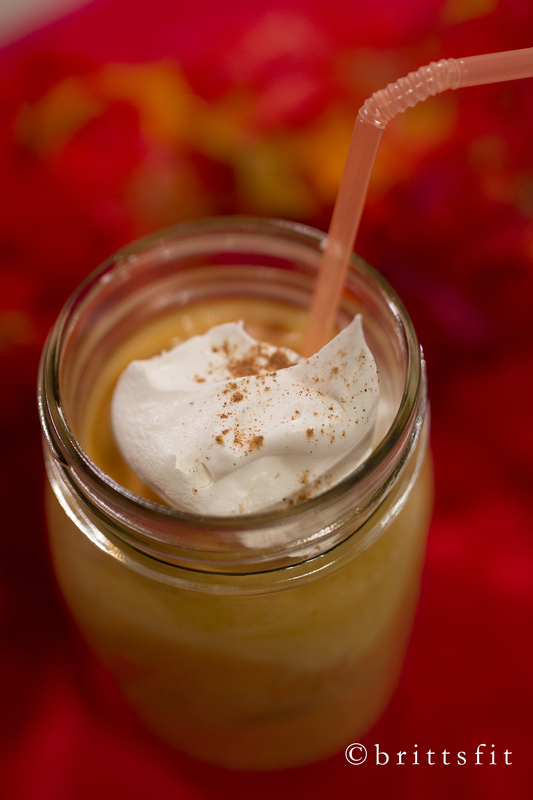 Top with additional cinnamon if desired. 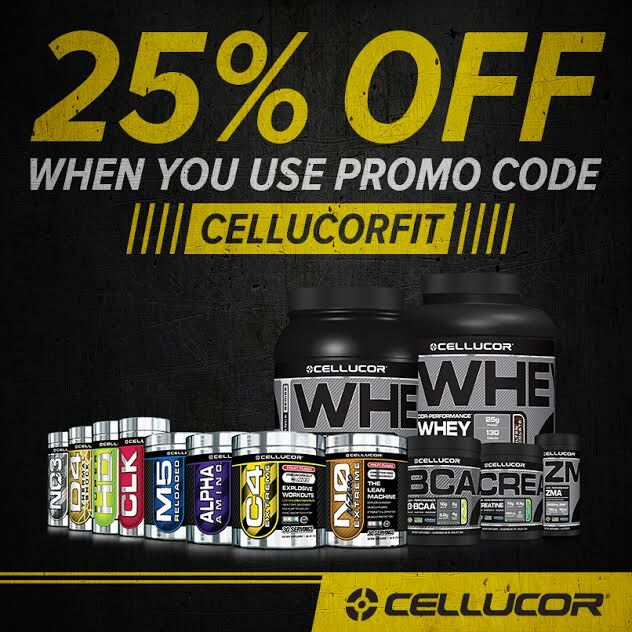 You can also add cinnamon granola if you have enough carb macros in your plan. Okay, okay. 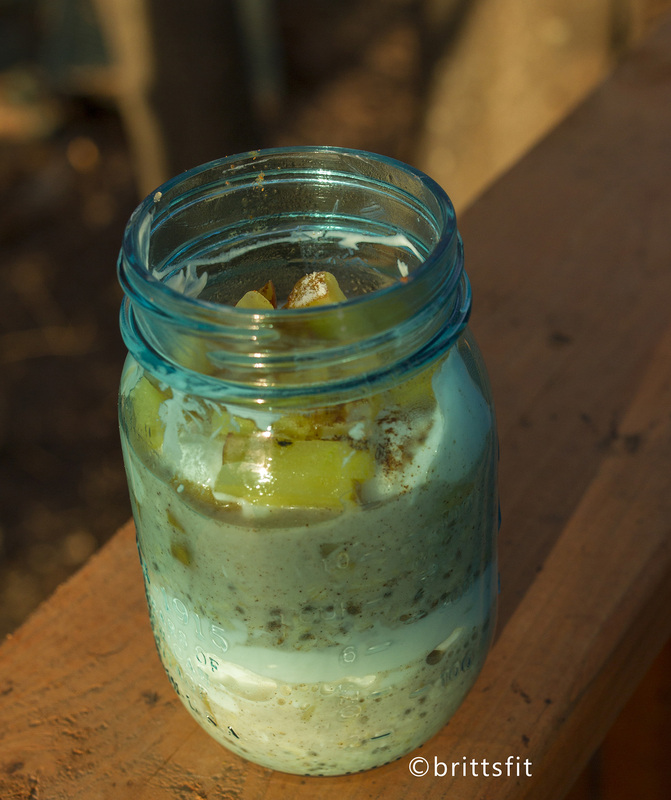 I know I post a lot of overnight oat recipes. But they are just so simple to make and delicious to eat. 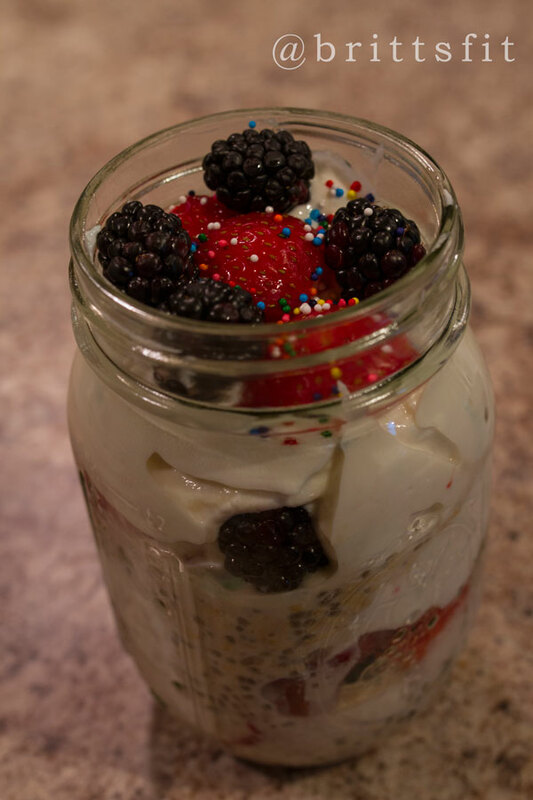 Plus, in jars they look so pretty and delectable. 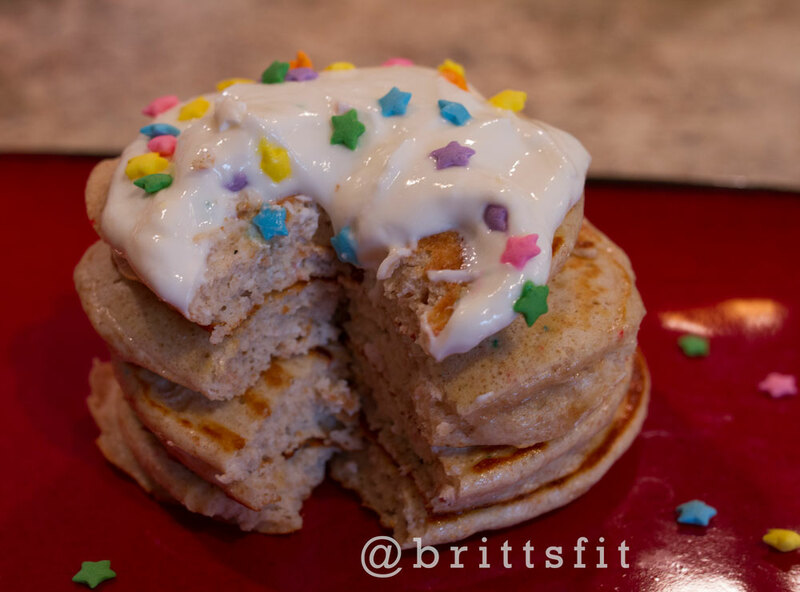 For this recipe I wanted to use my Cellucor Corfetti protein powder and make something that tasted similar to a pound cake with berries and frosting. I have to say I was rather impressed with the results of this one. 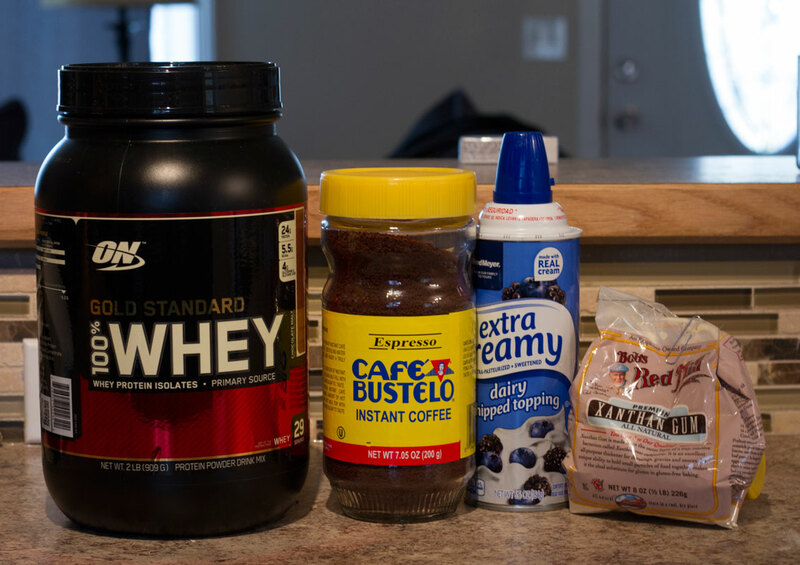 You may need to tweak the amounts of protein and add stevia as needed as everyone is different. 🙂 Feel free to improvise it as you like. 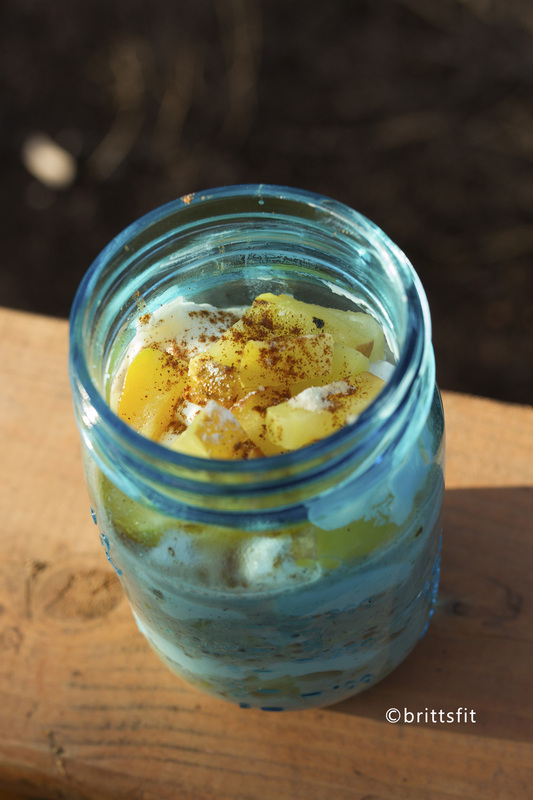 It is easy to mix it up with overnight oats as it mostly always turns out pretty well! Before bed, mix oats, almond milk, chia seeds, and vanilla. Cover and refrigerate. 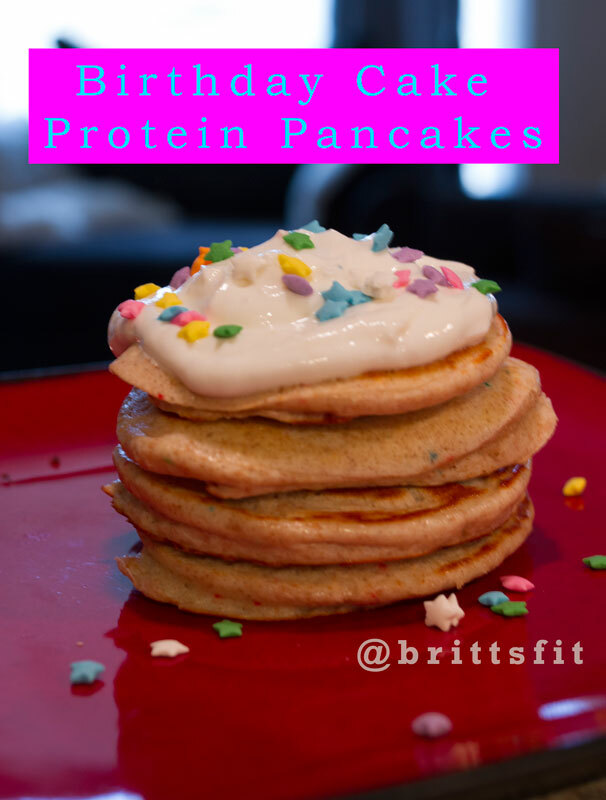 Mix greek yogurt and protein powder. Mix well to make it very creamy. You can add extra stevia if you like things sweeter (highly recommend liquid vanilla stevia as it tastes amazing!). 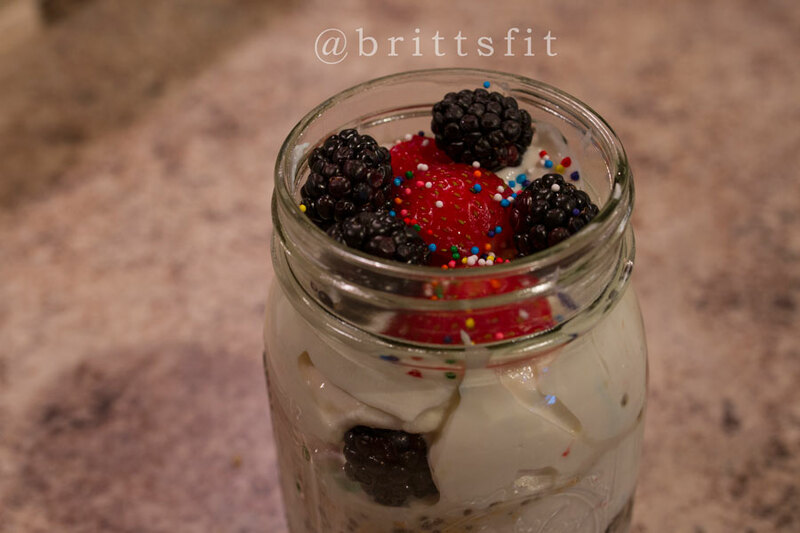 In the morning layer oats, yogurt mix and berries in your jar. 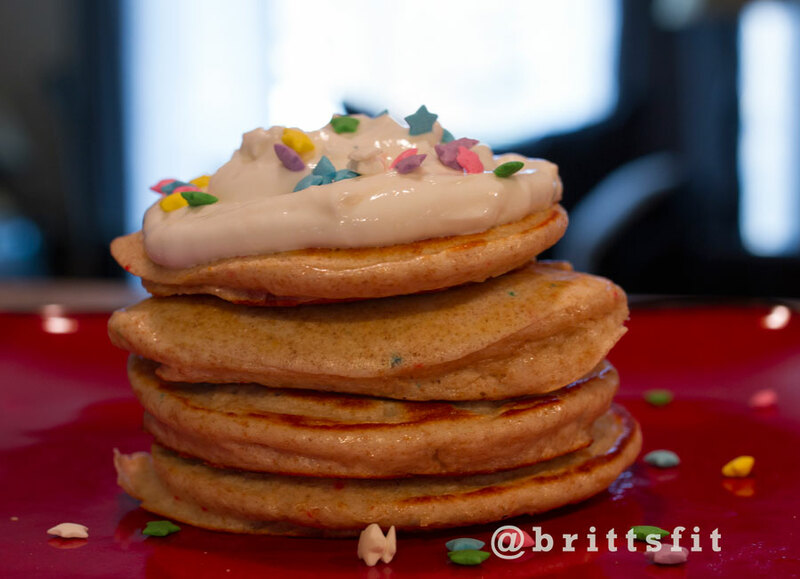 Top with more berries and sprinkles. Now that it is almost summer here in Alaska (yes we consider 40 degrees and sunny summer! 🙂 ) I have been craving more frozen drinks again. 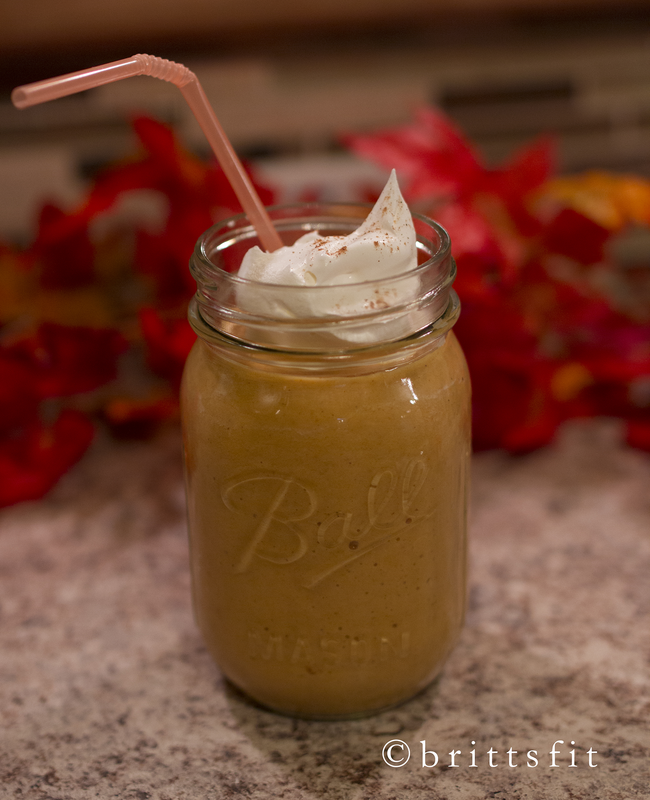 I always like the idea of Starbucks frappucinos but they are just WAY too sweet for me. Not to mention all of the fat and calories which I would rather spend on FOOD then a drink! 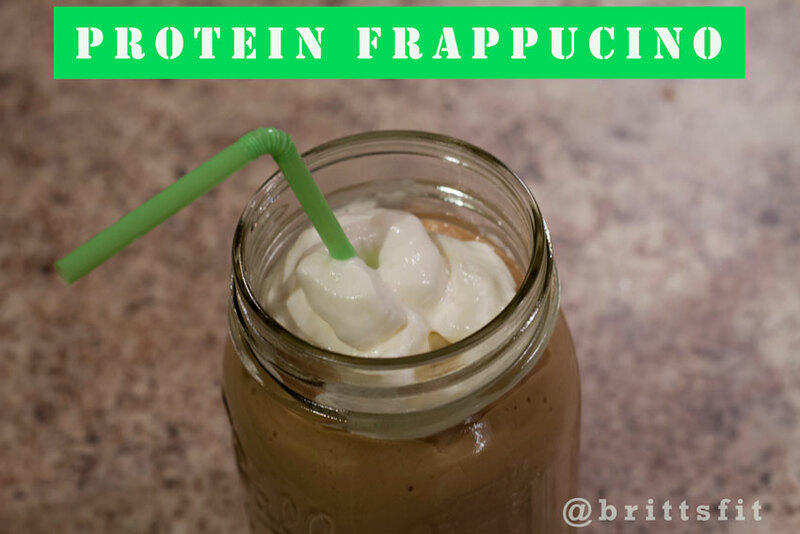 So I started making these protein frappucinos to get the same type of drink but a LOT healthier! 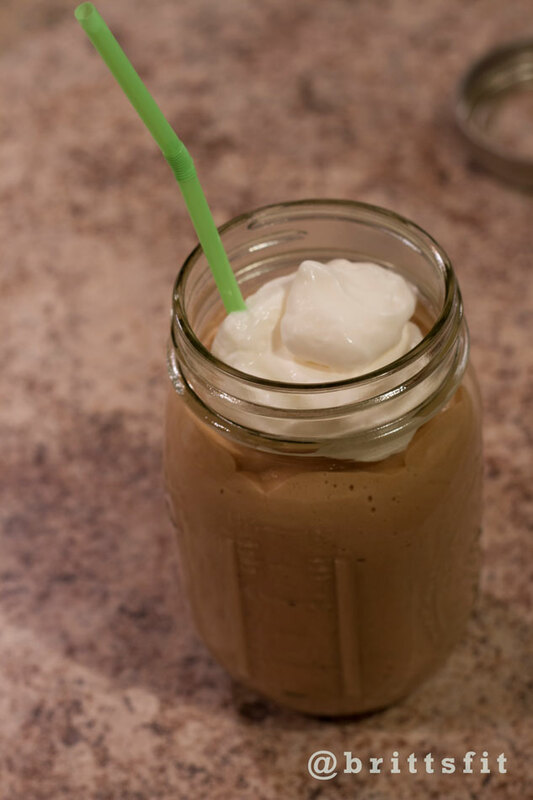 Mix in a blender protein, ice, milk, espresso powder and xanthan gum. 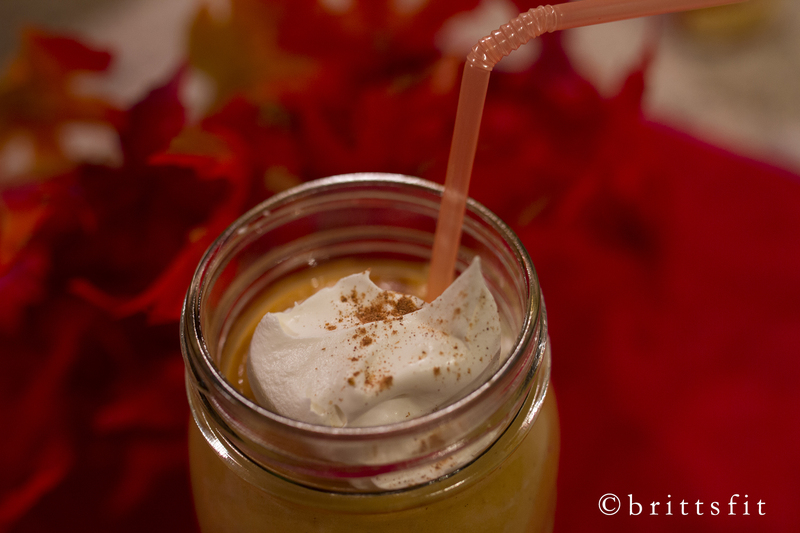 If using xanthan gum mix a few extra seconds to let it fluff up the drink. Pour into fun jar or mug.